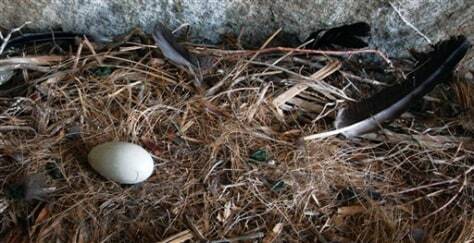 This image, released by the Zoological Society of San Diego, shows a California condor egg produced by 7-year-old female No. 217 and 6-year-old male No. 261, in their cliffside nest inside the Sierra San Pedro de Martir National Park in Baja California, Mexico.